If a citizen of Latvia has decided to make a journey to Russia, he should take care of getting a visa in advance in accordance with the purposes and dates of his travel. It is possible to obtain a visa on the territory of Latvia in the official visa centre of the Russian Federation VFS Global. The visa may also be obtained if you are on the territory of another state in the nearest Russian consulate service. The simplest and fastest visa type is a tourist visa. You can apply for it if you plan to travel for a period not exceeding 30 days with the purpose of tourism or for participation in short-term events. 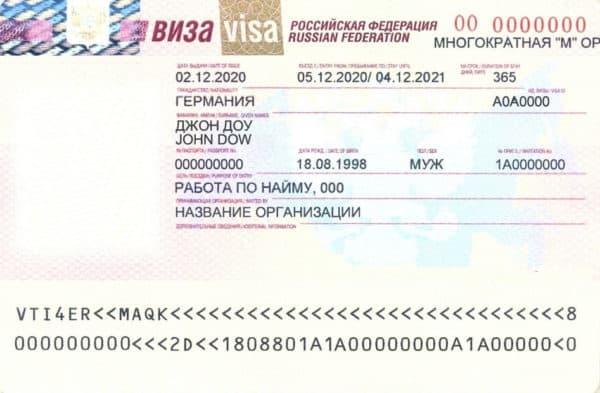 This visa implies a single or double entry into Russia. Curious fact: The total number of Russian visas issued to Latvian citizens amounted to 30933 for 2016. Source: Russian Ministry of Foreign Affairs. Tourist invitation (copy of voucher). We offer you to order a tourist invitation from us for a journey of up to 30 days for tourism, or visiting friends and relatives. Your invitation will be issued by the official Russian tour operator, indicating your accommodation during your trip to Russia, dates of stay and your passport details. If you have not yet determined where you are going to stay in the Russian Federation, we will provide you with a reservation in a Russian hotel for the time of your visa application processing. If you are planning to make a business trip to Russia and stay from 90 days to 1 year, you should obtain a business visa in advance. 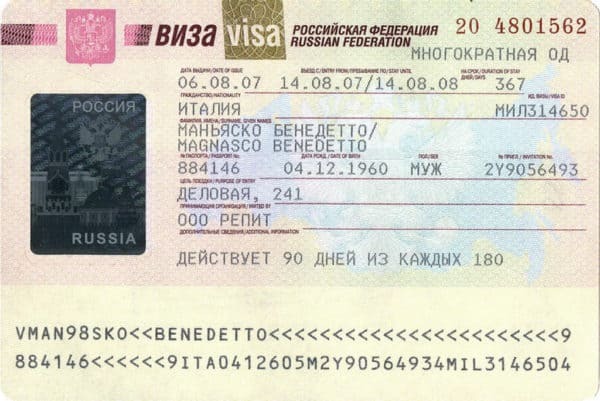 This type of visa allows single, double and multiple entry. An invitation on the official FMS form. Since the end of 2015, the Russian Federal Migration Service has allowed a new electronic form of business invitations. If you are going to stay in Russia from 90 days to one year with a business purpose, we are pleased to offer you a business electronic invitation. This invitation will be sent to you as an official electronically encoded document on the FMS form, the second copy will be sent electronically to the appropriate consular service of Russia in the foreign State where you are planning to apply for your visa. such invitations. The letter of invitation is provided in a copy or in original written on the official company form. We are ready to offer you a business letter of invitation from our company if you are going to Russia for a period from 90 days to 1 year on a business purpose. Benefits of the Business letter of invitation: fast processing and lower cost. 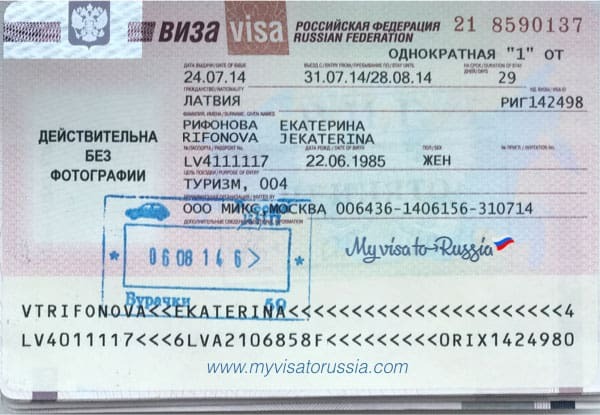 Main condition: to have a previous Russian visa expired no later than a year ago. The letter of invitation will be written on the official form of the Russian host company and sent to you in a copy (for a stay up to 90 days) or in original (for a stay of 1 year). If your plans include employment in the Russian Federation you will need a work visa, which allows to stay in the country for long periods of time. To apply for a work visa, you must first obtain a work permit and a work invitation. Work visa is issued for a period from 3 months to three years. HIV/AIDS certificate, which is valid for 3 months. Mandatory when applying for a visa from 3 months stay. If you are going to work on the territory of the RF or open your business and stay in the country for a long time, but your employer is unable to provide you with an appropriate work invitation, we will help you to obtain it. You will be sent an official work invitation from the Moscow company. To get a work invitation, send the request to our email. We will prepare and send you your work invitation within a month after receiving your request and documents. Do you want to visit your family in Russia? In this case, you may apply for a private visa. A private visa gives you the right to stay in Russia for up to 90 days, with the possibility of single or double entry. In order to obtain a private visa invitation, the inviting party must contact the local federal migration service office. We want to warn you that applying for a private visa is a complex and long-term process, so we recommend you to apply for a tourist or business visa instead. If you still have decided to get a private invitation, you can do so by asking your host to write a petition at the Russian FMS office at the place of his/her residence.